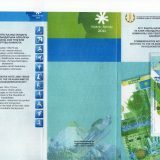 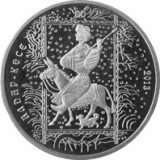 Date of issue: 22 December, 2006. 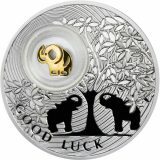 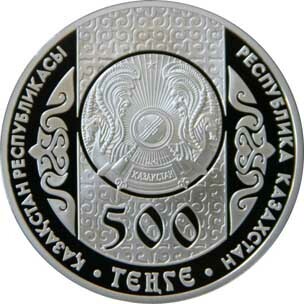 Averse: State Emblem of Kazakhstan is depicted against ornamental background; face value of the coin “500 TENGE”; two legends in Kazakh and in Russian “REPUBLIC OF KAZAKHSTAN”. 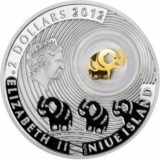 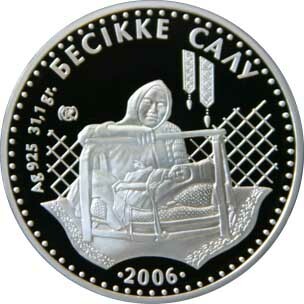 Reverse: image of woman putting a baby to his cradle against a background of stylized jurt decoration; name of the coin in Kazakh “BESSIKE SALU”; “2006” means the year of coinage; “Ag 925 31,1gr.” means metal, standard of coinage and weight; trade mark of Kazakhstan Mint.